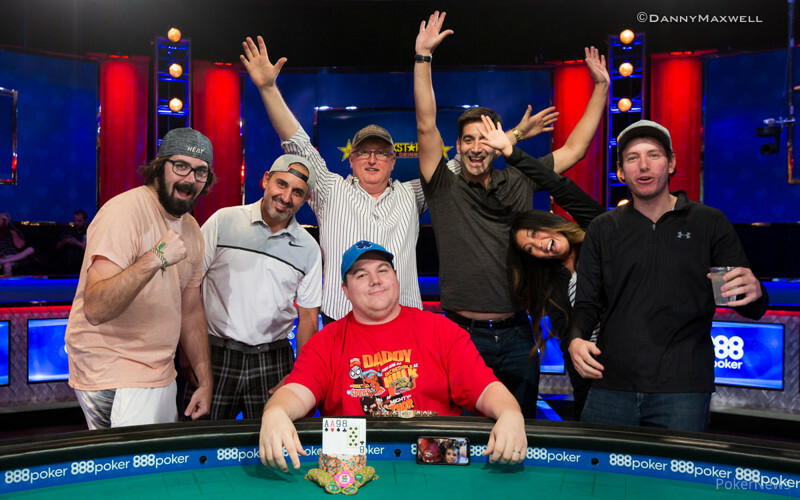 The final six players from a 230-entry field (181 unique entries plus 49 reentries) in the 2018 World Series of Poker Event #42: $25,000 Pot-Limit Omaha 8-Handed High Roller returned to the ESPN main stage on Saturday to play down to a winner. The final table included heavyweights like defending champ James Calderaro, Poker Hall of Famer Scotty Nguyen, and the red-hot Jason Koon. However, none of those players made it to the final two. Instead, it was a rematch of the 2017 WSOP Event #34: $10,000 Limit 2-7 Lowball Triple Draw Championship — when Ben Yu beat Shaun Deeb heads up to win his second bracelet. The duo collided once again, each looking to join the ranks of Sammy Farha, David “Chip” Reese, and David Sklansky as three-time bracelet winners. The fourth edition of the tournament, which for the first time allowed for a single reentry, ended with Deeb getting his revenge. The $1,402,683 blew away Deeb’s previous best cash (not counting the $1 million he won in a One Drop satellite) of $318,857 for winning the 2015 WSOP Event #15: $10,000 Pot-Limit Hold’em Championship. His other bracelet came at the 2016 WSOP when he took down Event #49: $1,500 Seven Card Stud for $111,101. It took just four hands for the first player to fall. It happened when the short-stacked Ryan Tosoc raised pot preflop and just called Yu’s three-bet to 900K. Tosoc then jammed his last 325,000 after flopping middle pair with a flush draw and Yu looked him up with top pair of aces. 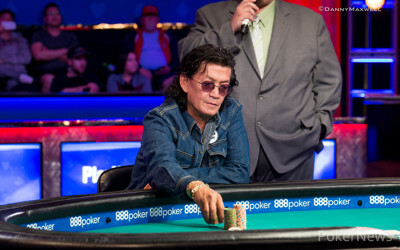 Neither the turn nor river helped Tosoc and he hit the rail in sixth place for $215,718. On Hand #31 of the final table, Deeb raised and then called a three-bet from Koon. The latter shoved the nine-high flop with queens and Deeb snap-called him with top two pair, nines and sevens. Koon picked up a straight draw on the turn but failed to get there on the river. Koon took home $295,606 for his fifth-place finish. Calderaro was looking to go back-to-back in arguably one of the toughest tournaments of the year, but his quest came up three spots shy thanks to a nasty river card. It happened when both he and Deeb got it in with top two on the flop. The odds favored a chop, but running cards wound up giving Deeb a backdoor six-high straight to win the pot. Calderaro’s $414,134 for finishing fourth brought his two-year total up to $1,703,208 in prize money. Three-handed play lasted for a while before Yu double through Nguyen, which left the Poker Hall of Famer short. The 1998 WSOP Main Event champ soon got it in with two kings and a ten-nine and was up against Yu’s queens with an ace-three. An ace hit the flop and Nguyen was eliminated in third place for $592,875, the fourth-largest score of his illustrious career. Yu and Deeb both held the chip lead during the short heads-up match. Before long, Deeb got his opponent on the ropes before delivering the final blow. It happened on a five-four-deuce two-heart flop when Yu called all in holding a jack-six-six-five with two hearts against Deeb, who held aces with a gutshot to a seven. The black deuce and eight on the turn and river respectively sent Yu to the rail as runner-up for a career-high $866,924. Ben Yu raised the pot to 900,000 and Shaun Deeb three-bet the pot to 2.7 million. Yu, who had a stack of around 6.4 million, called, and the flop came . Deeb bet the pot and Yu called all in. Deeb was in the lead with his pair of aces, but Yu had plenty of outs with a straight and flush draw. Fives and sixes were live, too, but the turn and river failed to improve Yu to send him to the rail in second place for $866,924. Yu narrowly missed out on his third bracelet, while Deeb completed that exact feat and took revenge for his runner-up finish to Yu in the 2017 WSOP Event #34: $10,000 Limit 2-7 Lowball Triple Draw Championship. 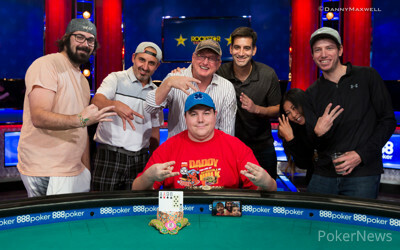 Shaun Deeb raised to 600,000 on the button and Ben Yu called. The action went check-check on the flop and the dealer burned and turned the . Yu bet 800,000 and Deeb called. When the completed the board on the river, Yu bet 1.7 million and Deeb called. Yu showed for a pair of sixes and Deeb rolled over for two pair and the win. 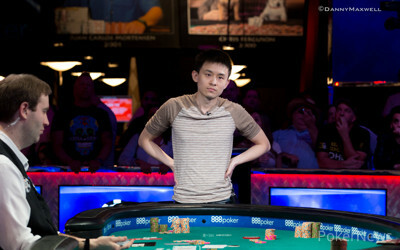 Shortly after, Yu raised to 900,000 and Deeb three-bet the pot to 2.7 million, which Yu called. Deeb immediately bet the pot for 5.4 million on the flop and Yu folded. Shaun Deeb raised to 600,000 and Ben Yu called to see a flop of . Yu checked and Deeb checked behind. After the turn, Yu bet 800,000 and Deeb called. The river completed the board and Yu slowed down, checking. Deeb checked behind and was shown an ace-ten, which he had beat with ace-jack high. Two hands later, Deeb raised to 600,000 once more and Yu called. Both checked the flop and Yu check-called a bet of 550,000 on the turn. The river was checked and Deeb won the pot with for aces and deuces. Shaun Deeb raised to 600,000 and Ben Yu called to see a flop. Yu check-called a bet of 500,000 and then check-called one of 1.3 million on the turn. Both players then checked the river and Yu tabled the for kings and threes. It was no good though as Deeb had a bigger two pair with his . A limped pot brought the flop of and Shaun Deeb bet 600,000. Ben Yu raised the pot and that ended the hand right there. Yu raised the pot to 900,000 and Deeb called. The flop came and Deeb checked. Yu bet 1.2 million and forced a fold. Deeb raised to 600,000 and Yu three-bet the pot to 1.8 million. Deeb called. The flop came and both players checked. On the turn, the action went check-check once more. The on the river brought a bet of 2.5 million by Yu and Deeb folded. On the button, Ben Yu raised to 1 million and Scotty Nguyen three-bet the pot to 3.3 million with 50,000 behind. Yu set him in and Nguyen called it off. Yu's rail asked for an ace and got their wish granted with the flop. Nguyen had a gutshot and his rail now asked for an eight. The appeared on the turn and Yu's rail demanded, "Pair the board!" That didn't happen, but they were equally happy about the blank on the river. Nguyen was eliminated in third place for a payday of $592,875 and there will now be a short break to set up the duel for the title and coveted gold bracelet. Both Yu and Shaun Deeb already have two of their own and aim to make it three with a payday of $1,402,683 up top. Scotty Nguyen raised to 800,000 on the button and Ben Yu called from the big blind. Yu checked the flop and Nguyen bet 800,000. Yu check-raised the pot to 4.15 million and then called off for 1.3 million more when Nguyen popped it. Yu flopped two pair while Nguyen had both straight and flush draws. The turn gave Nguyen a few more outs, but he missed when the bricked the river.